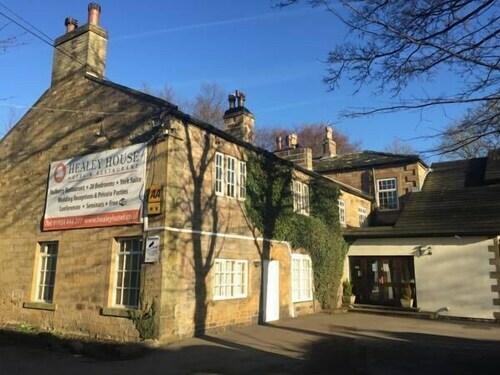 Situated in Ossett, this bed & breakfast is within 3 mi (5 km) of Dewsbury Town Hall, Dewsbury Minster, and Redbrick Mill. Wakefield Cathedral and Wakefield Theatre Royal are also within 6 mi (10 km). Situated in Batley, this hotel is within 3 mi (5 km) of Redbrick Mill, Dewsbury Town Hall, and Dewsbury Minster. John Smith's Stadium and Elland Road Stadium are also within 9 mi (15 km). Batley Station is 24 minutes by foot. 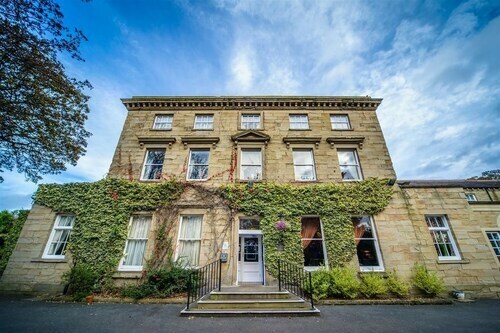 Situated in Ossett, this hotel is close to Dewsbury Town Hall, Dewsbury Minster, and Redbrick Mill. Local attractions also include Wakefield Theatre Royal. 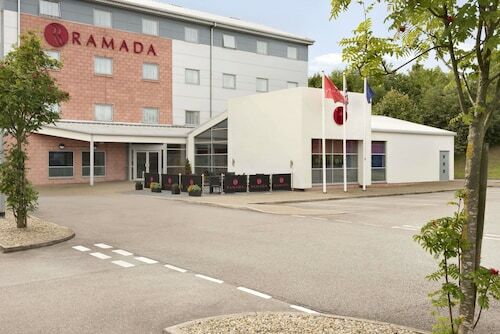 Situated in the suburbs, this hotel is 2.6 mi (4.2 km) from White Rose Shopping Center and within 6 mi (10 km) of Elland Road Stadium and Redbrick Mill. Dewsbury Minster and Dewsbury Town Hall are also within 6 mi (10 km). Morley Station is 29 minutes by foot. Situated in Ossett, this hotel is within 3 mi (5 km) of Wakefield Theatre Royal, Wakefield Cathedral, and Hepworth Wakefield. Dewsbury Minster and Dewsbury Town Hall are also within 6 mi (10 km). 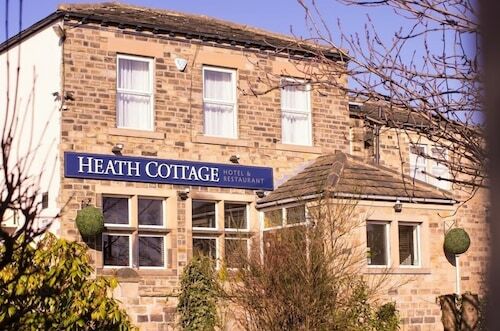 Situated in Liversedge, this hotel is 2.8 mi (4.5 km) from Redbrick Mill and within 6 mi (10 km) of John Smith's Stadium and Dewsbury Minster. Dewsbury Town Hall and Odsal Stadium are also within 6 mi (10 km). Located in the heart of Ossett, this hotel is within 3 mi (5 km) of Wakefield Theatre Royal, Wakefield Cathedral, and Hepworth Wakefield. Dewsbury Minster and Dewsbury Town Hall are also within 6 mi (10 km). 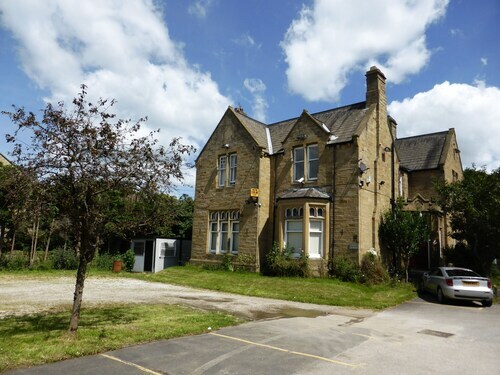 Situated in Liversedge, this hotel is close to Redbrick Mill and Dewsbury Minster. Area attractions also include John Smith's Stadium and Dewsbury Town Hall. Situated in Leeds, this hotel is within 6 mi (10 km) of Redbrick Mill, Elland Road Stadium, and White Rose Shopping Center. Dewsbury Minster and Dewsbury Town Hall are also within 6 mi (10 km). Morley Station is 28 minutes by foot. 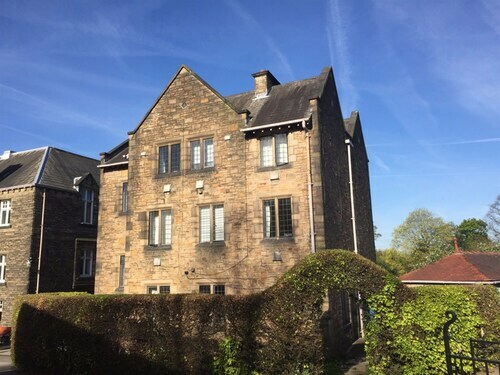 Situated in Mirfield, this bed & breakfast is within 6 mi (10 km) of John Smith's Stadium, Dewsbury Minster, and Dewsbury Town Hall. Huddersfield Golf Club and Magic Rock Brewing Co. Ltd are also within 6 mi (10 km). Mirfield Station is 24 minutes by foot. There is always a fascinating event happening at Mecca Bingo. Make your way there and open your mind to a fresh take on things. It is in Dewsbury, 30 miles (48 kilometers) outside of the great city of Manchester. There are 2 hotels available in the immediate vicinity, and they're excellent for those who would like being just a quick commute away. Within 2 miles (3 kilometers) of Mecca Bingo you'll come across the Healey Hotel and Heath Cottage Hotel & Restaurant. Live the lifestyle of the rich and famous at one of the handful of upscale hotels that are a short drive away. 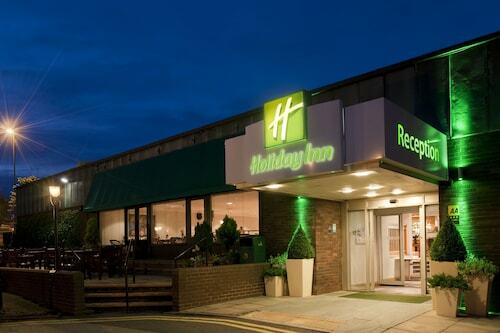 The Three Acres Inn & Restaurant and Holiday Inn Leeds Bradford are solid choices that are worth considering. It doesn't matter if it's a perfectly brewed coffee or a chocolate-filled treat, you're sure to find something to satisfy your taste buds at Cafe Etienne (Wakefield Old Road, Dewsbury). A hot spot for sightseers with an appetite, Mecca Bingo (The Retail Park, Railway Street, Dewsbury) is just 0.08 miles (0.13 kilometers) away. If you're hoping to find a local civic building and a historic point of interest, venture to Dewsbury Town Hall. Grasp a deeper sense of aspects of the culture and spirit of the area by seeing and learning about Dewsbury Minster, a local church. Every visitor will hear talk of Redbrick Mill at one point or another. It's a popular local store. You'll certainly find the perfect souvenirs and gifts for your friends and family back home at The Mill Outlet Batley. Be sure to buy yourself a few treats, too! Newspapers, exhibits, books and other resources await you at Batley Library and Art Gallery, the ultimate location for anyone who loves to read. It's easy to jump on a train when you're heading to Mecca Bingo. The nearest station, Dewsbury, is a mere 0.4 miles (0.6 kilometers) away. How Much is a Hotel Room in Mecca Bingo? Hotels in Mecca Bingo start at $40 per night. Prices and availability subject to change. Additional terms may apply.